Mid and East Antrim Borough Council is investigating an alleged incident in which an 87-year-old man and his dog were injured in Larne. It has been claimed that the pensioner and his pet were attacked by three dogs after they came loose from their owner. His dog is understood to have required surgery and its owner required an examination by paramedics. Afterwards the man’s daughter claimed that when she attempted to contact Mid and East Antrim Borough Council’s dog warden’s out of hours number, as the incident reportedly occurred on a Saturday morning, there was no reply and no availability. She said: “When you ring the out of hours number for the warden, it rings out with no reply. 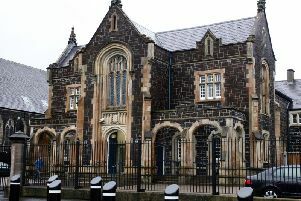 A spokesperson for Mid and East Antrim Borough Council said: “This alleged incident was reported to Council and is currently under investigation, therefore it would be inappropriate to comment further.